Everyone loves the lack of weight. Carting around a trade show, at least for me, helps the less I’m carrying, and so my work device has transitioned from a clunky beast into a light 13-inch thin-bezel with as much power and battery as I can put into it. The holy trinity of quality, battery, and weight, is hard to achieve. Acer thinks they have something at a 15-inch screen size that fits the bill. The newest Acer Swift 5 (SF515-51T) is officially launched today as the world’s lightest 15-inch notebook. The key behind the weight saving, says Acer, is the magnesium-lithium alloy clamshell design. We’ve seen laptops with this contruction before, such as the LaVie Z, however never in a 15-inch design. Acer is planning the Swift 5 to be a ‘productivity powerhouse’, featuring 8th generation processors. 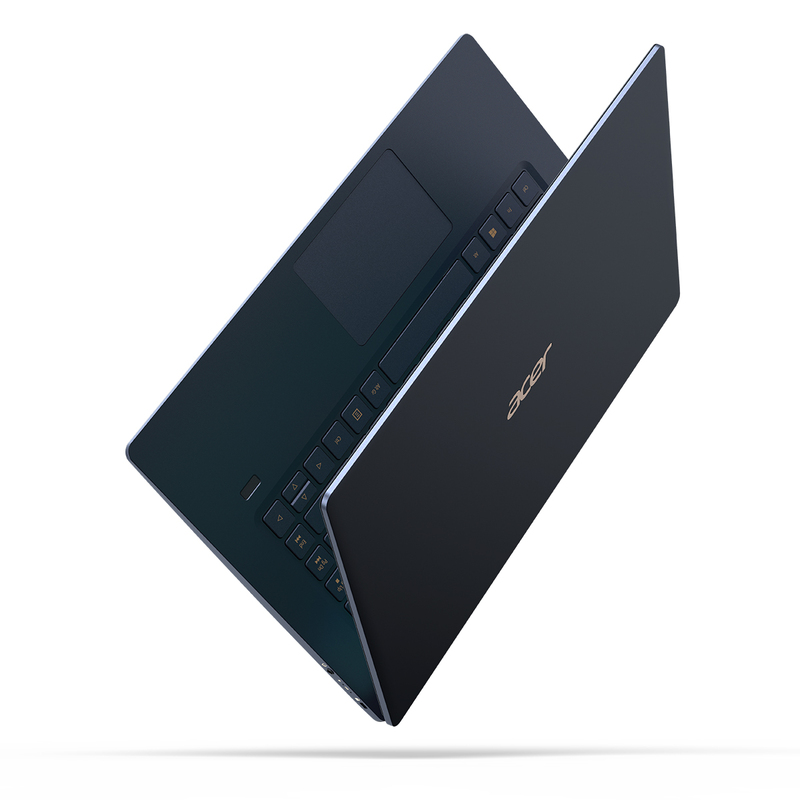 The design reminds me a lot of the Zenbook Ultimate editions, with a small hinge, but this time with much thinner screen bezels. 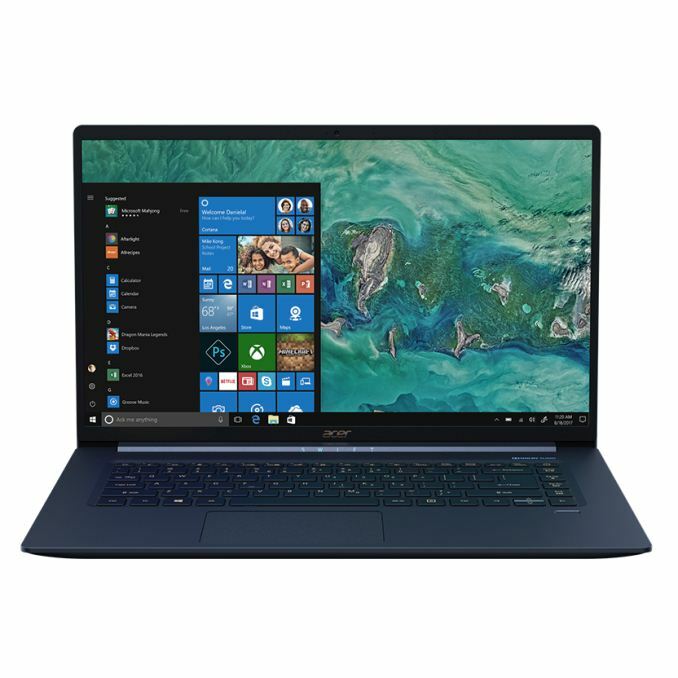 The display on this new machine is a 1080p IPS rather than 4K (likely to help with battery), with Acer promoting an 87.6% screen-to-body ratio. The system will lie flat with its hinge, rather than a full rotation, and the full unit measures 15.9mm (0.63-inch) thick. Under the hood, Acer is offering up to a Core i7-8565U, the latest Whiskey Lake 8th generation part, with up to 10 hours of battery life. 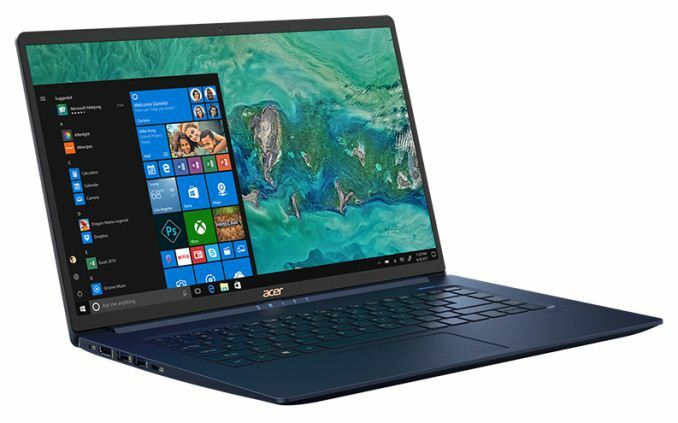 Using the newest Whiskey Lake means also offering Intel’s 2x2 802.11ac 160 MHz Wi-Fi CRF, which Acer pairs with up to 16 GB of DDR4 and up to 1TB of NVMe PCIe storage. The keyboard is fully back lit. Other features includes a USB 3.1 Type-C port, two USB 3.1 Type-A ports, and a HDMI port. The notebook will be available in North America in January, starting at $1099.